Some may say I’ve “let myself go” lately. My toenails have been bare for months, my gray roots are showing, and I’m at the heaviest (non-pregnant) weight of my life. Yet, I’m surprisingly OK with it all (most days). I’ve been on a slow but steady journey to undo what I’ve been told is beautiful—the unachievable ideal that I must be actively pursuing lest I be labeled as one who’s given up. For me, personal beautification began in junior high. One day in class, a guy friend brought it to my attention that I had a mustache. Years later in high school, one boy suggested I “put some color on those naked toes!” Another winner (this one a boyfriend) told me that he and his best friend had decided that I would be the prettiest girl in school … if I wasn’t so white. In each instance (and in countless others), I immediately put together a plan of action to remedy my beauty faux pas. And so I began the pursuit of physical perfection. Twenty-five years later, I am still affected deeply by my appearance (and the comments I receive from others about it). It is a constant fight to stay in an emotionally healthy place and to hold it all in the light of eternity. For way too long, I have been guilty of paying more attention to the way I look outwardly, with little-to-no efforts spent toward my spiritual life. And I know I’m not alone in this struggle. However, what we look like does matter. If we stopped showering and roamed around in our pajamas all the time, it would certainly hinder our gospel-productivity. There is a stewardship involved when it comes to our bodies—and the older I get, the more I see and feel the implications of neglecting my physical body. So, where’s the line? Where does taking care of myself cross over into vanity? When does a holy pursuit to discipline my body for useful service to God turn into a resource-wasting obsession to stay as young-looking and beautiful as possible? I am far from having this figured out, but I am deliberately taking more and more steps to free myself from the chains of beauty—without completely letting myself go. Here are a few questions I am being more intentional in asking when it comes to my actions in this area. 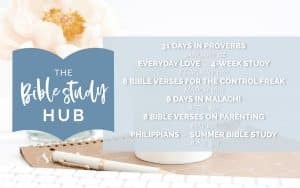 https://katieorr.me/wp-content/uploads/2018/10/haute-stock-photography-simple-home-collection-final-7.jpg 989 1200 Katie https://katieorr.me/wp-content/uploads/2018/11/bible-study-for-women-6-1.png Katie2018-09-17 04:22:272019-04-01 11:46:09Where's the line between self-care and bodily obsession? So, I’m going back to school. This turning 40 thing has been fun. It’s as if the road to my purpose and calling has been finally paved and I’m ready to run. I’ve said for years that I would love to take seminary classes. 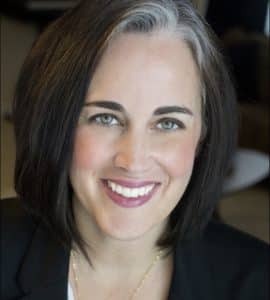 This summer at the Southern Baptist Convention—specifically at the Women and Work panel—I was spurred on by hearing from those women chasing after their dreams—even amidst the crazy seasons of life. It was freeing to hear of one who’d been taking classes over a decade and is about to reach the finish line of her degree. For some reason I’d had it in my head that I needed to wait until life’s waters were completely calm before I could dive head first into school. So, yes, it may also take me a decade, but I’m going to start now. I received my acceptance letter last week (yay!) to New Orleans Baptist Theological Seminary to pursue a Masters of Arts in Discipleship at the Orlando extension center—just 45 minutes away from my house! This is actually the same extension center my husband Chris started his MDiv 10 years ago. So fun, right? Part of the application process was submitting my conversion and calling story. I thought I’d share them with you! It was fun to process this and look back on God’s faithful, patient calling on my life. I’m so grateful. Explain your conversion experience. Include age and details. With vague memories of a decision made at VBS, I spent most of my childhood believing I was a Christian. Through both Catholic and Protestant private schools, I learned much about the Bible and the characteristics of what a good religious person looks like. However, I primarily saw God as a distant, cosmic parent who primarily just wanted me to be good. So, I was good. I could readily articulate the reality of Christ’s sacrifice for the sake of mankind, but I thought it was enough to simply know about it and believe that it had happened. Though I cannot remember the exact date (I was in junior high), I vividly remember the moment I recognized my personal need for Jesus. It was a simple afternoon at home in my bedroom when reality hit me of my distance from God and the fact that—although I knew about Jesus—I didn’t know Him personally or trust Him for salvation. Immediately, I confessed my need for Christ and my desire to follow Him with my entire being. I had been trusting in my goodness instead of His grace and I have no doubt that it was in that moment my new spiritual life in Christ began. It would be a long time before I found myself in any sort of a groove when it came to walking with Christ. God still seemed distant and there was much about grace I needed to grasp, but in His goodness I did begin to grow from that point on. Discuss your call to ministry. How do you define a divine call? In what ways has your call to ministry been affirmed? Though I didn’t recognize it at the time, I can see God’s hand and calling toward leading other women in the Word as far back as my freshman year at Auburn University (1996). I was still a toddler in Christ—just beginning to see that there is more to Christianity than the do’s and don’ts. I had been attending Campus Crusade for Christ, joined a freshman Bible study, and found myself surrounded by young women who talked about Jesus like they just had coffee with them. They didn’t just know about Jesus—they knew Jesus. They loved His Word and studied it eagerly and faithfully. 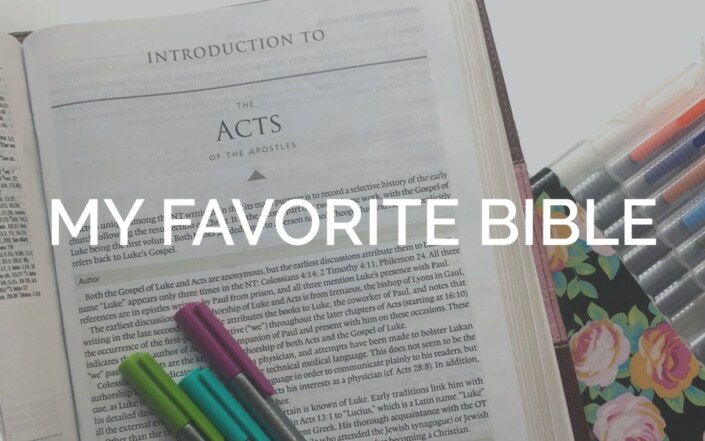 Through their example and the discipleship of the upperclassmen and Cru staff, I began to learn about the how’s and the why’s of Christianity: How to study my Bible. How to pray. How to share my faith. How to live the Spirit-filled life; as well as why all these actions are so vitally important to our everyday experience of God’s power and presence. The commands I’d heard all my life suddenly became more than a checklist. They became fuel and nourishment for my growth in Christ because someone finally took the time to train and teach me how to do these spiritual disciplines. I flourished under the Cru ministry, and it was just a few months in to my new-found growth in Christ, that God began to call me into ministry. The head RA of my 6-floor-dormitory knocked on my door one evening. She told me she had noticed I had verses pinned on my door, and was wondering if I would be willing to lead a Bible study in the dorm. She wanted to see one start up, but was not allowed to lead one herself. Out of all the hundreds of girls in that dorm, she challenged me to lead. 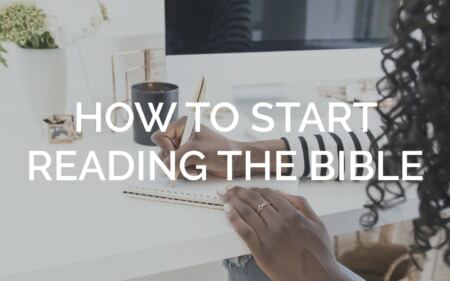 I had no idea where to start or what to do, and I had only just begun to walk with Christ, but I can clearly see the beginning of God’s continual and specific invitation to step out and lead women in the Word. The next year, at a Campus Crusade for Christ Christmas Conference, I committed my life to God’s purposes for my life. I didn’t yet know the specifics, but I knew that God had called me to serve Him in full-time Christian work. After graduating, I joined Cru staff, where I served in Campus Ministry for 6 years. I met my husband through the Cru ministry at the University of North Florida, and he joined staff after we married. I continued to serve on campus through evangelism and discipleship, even as our family grew. I absolutely loved campus ministry and the ability to pour into students (just as others had done for me) during such a key time of their lives. In 2008, we left staff with Cru for my husband, Chris, to begin seminary and church ministry. We both loved our time with Cru, but it was becoming more and more evident that Chris was called to and built for pastoral ministry within the local church. My call to disciple and teach has been a natural fit alongside Chris, and I have continued to use my gifts and fulfill my calling through the local churches that God has called our family. Additionally, for the past 8 years, I have led thousands of women through various online opportunities. 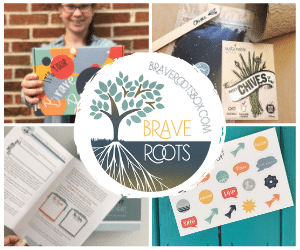 What started out as a simple Bible study blog has bloomed into a very unlikely publishing career and speaking/teaching ministry, both of which I never originally set out to achieve. God continues to draw me out and into spheres of influence I never dreamed of. This call to pour my life into the lives of women—both locally and globally—is continually affirmed through both the fulfillment and joy I receive through the use of my gifts, as well as the fruit and opportunities God continues to bring my way. My husband and I are in continual evaluation of how I spend my time and to how my calling to minister outside of the home coincides with my call as a wife, mother, and the pastor’s wife. We all have divine callings, spelled out clearly in Scripture. I like to call them our “Big C” callings. The call to work toward the fulfillment of the Great Commission, the call to be a vital part of the local church, the call to worship and honor God with our time, talents, and resources, etc. But we each also have individual “little c” callings. These are the specific and unique purposes God has for each individual. These are also divine callings and can be for seasons or a lifetime. They often morph over time as our capacities change and they lead to both internal and external fruit. I often walk into a mid-week Bible study exhausted, yet leave rejuvenated by the life-giving obedience to God’s call on my life to teach and disciple women. I’d love to hear about your conversion and calling! Even if you don’t leave a comment below, I encourage you to take some time to look back and reflect on God’s call on your life—both into the rest of His salvation and the work of His specific purposes for your life. I’m a goal-setter. Idea slinger. Persistent achiever. However, I’m also a perfectionist. And Perfect Katie is always lingering around the corner, ready to show me all the places that are not quite right. The hyper-critical gaze of Perfect Katie can paralyze me from moving forward. Perfect Katie’s constant pressure makes me want to throw up my hands and give up. Perfect Katie often keeps me from setting out to begin with. But what Perfect Katie forgets is that perfection was not the end goal. The purpose of this self-imposed challenge was to get back to placing meaningful words on this screen, to begin using the writing muscles that have been given an intentional rest, and to have a reason for writing whatever was on my heart for that day. And I’ve loved it! The temptation to just stop trying is strong, but when I take a step back and look at what has already been accomplished, I can see that the goal, in many ways, has already been met. And 11 posts that otherwise would not have been have made it into the archives. It hit me this summer that the perfect time to go back to school is never going to arrive. Life is always going to be busy, and I don’t have to take the suggested load to complete it quickly. I can take classes in my own timing and plan. So, I began the application process about a month ago, and yesterday I received my acceptance! It may take me 10 years to complete, but slowly and surely, I will pursue this dream. Because 5 minutes of reading one Bible verse is better than none read at all. A half-read reading plan is progress made that wouldn’t have been made if the plan had not been attempted. Instead of hyper-focusing on what we haven’t done or aren’t doing, we need to deliberately look for and celebrate what we have accomplished and how we have grown. There are a bazillion other examples and areas of our lives that we allow perfectionism to take over and rule us. And where we do, we stop growing. Perfectionism actually keeps our imperfections from being brought to light and changed. Perfectionism whispers the lies that we don’t need God’s help. We can do this on our own. We can keep things under control. So, today in the pursuit of growth and goals and intimacy with God, I’m telling Perfect Katie to take a hike. Politically speaking, the last several years have been tumultuous ones. The United States of America has not been living up to its name in the “united” area. It seems that we become more and more divided with each passing day. I have friends and family on both sides of the political fence, and it’s heartbreaking to see the chasm that separates us. Everyone deals with this dissension in different ways. Some choose to ignore it. A few brave souls jump into the heat of the battle with full gusto. Many try to deny reality. I heard of some disillusioned voters who moved “off the grid” in an act of defiance toward the newly elected President. An old philosophical saying goes, “If a tree falls in a forest and no one is around to hear it, does it make a sound?” (Or as my husband use to joke when our kids were smaller … if a child is crying in their room but we can’t hear it … is it really crying?) This is the approach some have attempted. Plug your ears. Disregard the news. It never happened. Of course, we know that though they may try to cut off any news of the Presidency to their ears, it doesn’t make the facts any less real. Not everyone has gone to such extreme actions (most probably can’t afford to). I’d say the “everyday” disillusioned have resorted to a more economical way to make their feelings know through the use of the hashtag #notmypresident. This stamp of disapproval is a way some are attempting to cope with their dashed political dreams. Politics aside, this type of declaration of defiance is more common than you might think, especially in the spiritual area of our lives. Instead of #notmypresident, we signal #notmygod—and I’m not talking about just those who refuse to trust Christ for salvation. We who claim the name of Christ declare #notmygod every time we choose our ways instead of His. Psalm 2 begins with nations raging, peoples plotting, and a counsel of rulers declaring their rebellion to the law of the Lord. Submission is not an option. So they tune their hearts to the #notmygod channel and reject the “bonds” and “cords” of the way of the righteous. But just because they declare #notmygod, doesn’t make God any less God. The King of Kings has ruled, is ruling, and will rule forever in perfect righteousness. The Lord of all Lords is not threatened by their uprising nor is His power hindered by their silly plans. The Holy of Holies will in His perfect timing, serve His perfect justice to all who fail to bend the knee. This is a small excerpt from my new project, Secrets of the Happy Soul. I am the worst at unpacking my suitcase. Mine still lays at the foot of my bed from this weekend’s trip (it’s now late Wednesday), waiting to be emptied and put away in the closet. I don’t know exactly why I resist this small task. It will feel so great when it is done. But I know that I will also love having a tidy house. Unfortunately, I do not possess the same drive to get it done. I’ve been trying very hard the past several months to rest. To keep my schedule from becoming too full, too quickly, and I’ve done a fairly good job at doing so. I’ve napped a lot, read a lot, and spent many slow mornings enjoying coffee, Bible study, and prayer time for several hours. After an insane few months of moving and traveling, It’s been a season of R&R. However, there is a fine line between keeping things purposefully slow and simply being lazy. I don’t always know when I’ve crossed that line. This isn’t a post where I am going to wrap everything up with a pretty bow and tell you I’ve figured out the secret to unpacking your suitcase in ten easy steps. You can leave all the comments you want about what works for you, but nothing will change until I make the choice to change. But I wonder how many other, more important areas of life come down to the same thing: choice. The choice to do the things we don’t really feel like doing, because we know it is what is best in the long run. The choice to prioritize our walk with God. The choice to change our bad eating habits. The choice to get physically fit and stay there. The choice to prioritize people over things. The list goes on. But I wonder how many of us are in rebellion to one or many of these areas, because we are holding on to some sort of warped sense of authority over those areas, to avoid feeling guilty every time we bump into them. With summer in full swing, you may find yourself on the road. If so, I encourage you to use this opportunity to visit another church! About twice a year we get to visit other churches while we are on vacation. We make it a priority to attend church, even when on the road, and it is always a refreshment for this ministry family to sneak in the back and worship without feeling the pressure of so many eyes on our every move. We’ve all walked into someone’s home to be hit in the face with some strong smells. Often, the owner of the house can no longer notice it. Whether it be mold, trash, or pet problems, the smell is most obvious to the nose that is new to the offense. Similarly, the visitor notices things we don’t. Or maybe we noticed it way-back-when but have forgotten all about it. Not only do visitors notice some of the oddities we ignore, they also don’t know how things work. Too many churches assume that everyone understands where the nursery, bathrooms, and/or fellowship hall is located. Bulletins are filled with event names with no description, groups with no specifics, and loads of information with out any invitations. Additionally, when we visit a new-to-us church, it reminds us of how uncomfortable and vulnerable it can feel to walk into a crowd where no one knows you. It gives us a new urgency to be a friendly face to the visitor when we return home. Being the newb—even for just one Sunday—can be a powerful agent for change in our church back home. We’ve been a part of several churches where many of the attendees have only attended that church. For others, they have maybe only attended 2 or 3 churches, all in the same area. This is a situation ripe for an in-grown and shallow view of what Sunday morning church should look like. Just because it’s all you’ve ever known doesn’t mean it is the authoritative way to do things. The Southerner can learn from the West Coaster. The Northeast from the Texan. There is even more to observe between nations. In Haiti, years ago, we attended several church services and there was much to learn from their passion, reverence, and devotion to the urgent and sincere hearing of the Word of God. Using our travels as an opportunity to get out of our “this is the best way to do things” bubble, can be a powerful agent for refining change in our hearts, which can overflow into our church experience back home. Hopefully! Even when visiting a stellar church who seems to get so many things right, being away from your home church ought to give us a sense of missing out and an urgency to get back home. So much of my life has been spent leaving. Leaving California for Auburn. Leaving Auburn for Jacksonville. Leaving Medical Technology for full-time ministry. Leaving Cru to go into church ministry. Leaving Florida youth ministry for a full-time Kentucky pastorate. Leaving Harrodsburg to move back home to Florida. In some ways, leaving is easier each time because you’ve experienced God’s provision during the previous move. Yet, inevitably it just all catches up to you. The goodbyes. The loss. Even the little things you miss out on simply because you are no longer there. And there are always regrets. People you miss. Choices you wish you made differently. Time wasted that you long to redeem. Yet with each move and new city, with each new relationship and assignment, there is grace. We receive an opportunity to learn from the past and start fresh. Leaving naturally leads to looking back. And a backward glance allows you to see the providing hand of God in ways that are simply hard to see when you are in the throws of the moment. And as I look back on the dreams that I had for my life, the visions of what life would be—and who it would be with—is so much different and so much smaller than what God has had planned for my life. So, yes. Leaving has been a big part of my life. And instead of focusing on the pain and tears leaving has caused, I choose to believe wholeheartedly that leaving—again and again and again—has been His call, His plan, His desire for me. I choose to focus more on what I’ve gained from each experience instead of what I’ve lost. And as I stand here today so very tired of leaving—still counting the loss, still morning, still waiting for the emotional space and energy needed to make new relationships in our new place—I’m grateful. I’m grateful for every assignment. Grateful for every friend. Grateful for every goodbye. Grateful for the promise that even if God calls me to leave again, He will never leave me. 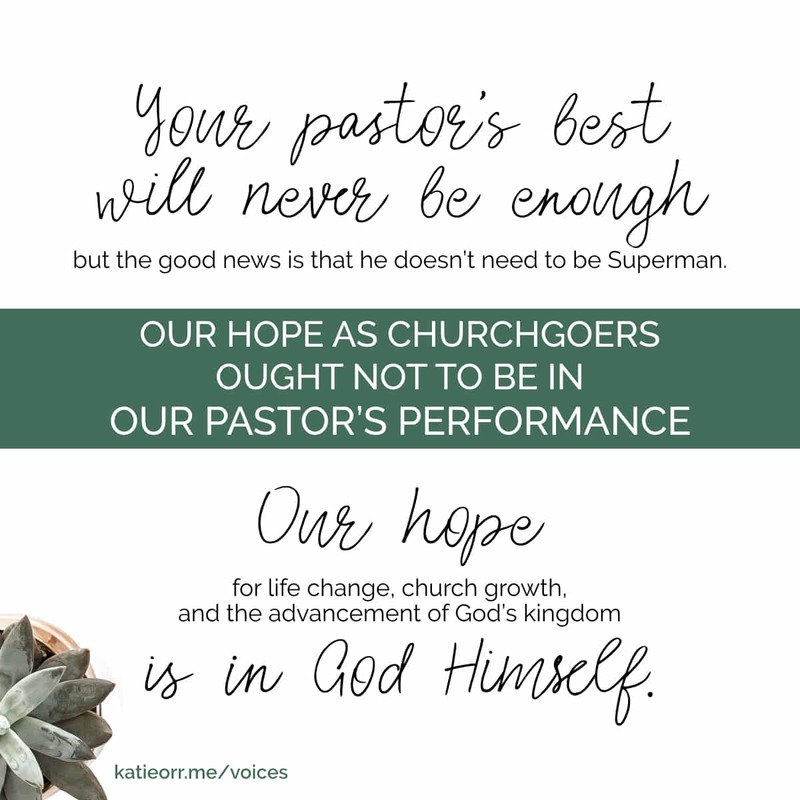 Not only do we each need to make the mental shift that This is not my church and Church is not about me, but we also need to take a look at how we view the pastor. Your pastor is not out to get you. I know that there are some bad apples out there, but the vast majority of pastors I know have given up much to become a pastor. They’ve given up higher salaries, being closer to family, having a normal work schedule with reliable, predictable boundaries, and other sacrifices you will never know about until he is rewarded in heaven. There can be loads of blessings and “perks” for the pastor, and it is a high and worthy calling. But the job is extreme and there are constantly targets on his back. If he was all about just pushing people around and getting a power fix, I think he would have chosen a different profession. Yet, there are some of you who have a tendency to see every move made by the pastor as an attempt to take away your power. Again, I know that there are some men out there who are in the ministry for all the wrong reasons, but most are there to serve, to build up, and to glorify God with their moments as a pastor. But if you are viewing everything from the lens of power, influence, and/or attention there is bound to be trouble. If there is one action step I could encourage you to take, if you struggle with feeling attacked, ignored, or marginalized by your pastor’s decisions, it would be this: Believe the best about your pastor until he gives you ample evidence to believe otherwise. He is there to faithfully preach the Word in the specific way God has gifted him. He works diligently for hours, prayerfully crafting each week’s message, and depending on the Spirit of God to help him deliver it. He is there to love on and reach out to the lost in the community surrounding your church. He is continually thinking of how to connect with and serve the needs of the community. He is there to teach, train, and employ the saved in his church to reach those lost in the community. The job of evangelism is not primarily on his shoulders. It is a commission given to each and every believer. The pastor is there to assist, encourage, and equip YOU for the work of evangelism. There are many more I could list … but these are several that I think many churchgoers need to be consistently reminding themselves of. Bottom line, I think more churchgoers need to stop taking things so personally. There is NO WAY IN THE WORLD that the pastor can keep everyone happy—nor is that his job. Yes, he ought to lead with compassion, sensitivity, and love, but that doesn’t mean he will always agree with you or make the same choice as you would. (In most cases, he may not even know what your opinion is! A pastor is many things, but a mind-reader he is not.) So if he makes a decision or doesn’t do something that you think he should be doing, pay attention to why you are so upset about this decision. Is it really because you care so much about whatever the decision was about … or are you miffed because you feel disrespected or overlooked somehow. So where some of us, like me, need to grow in seeing things through the lens of the faithful men and women who have served and served and served and served God’s local church for decades, there is yet another group who needs to be willing to let go. Because this is not your church either. Today I want to address those who have been in church for a while. This is not about generations, or age. This is about mindset. There are many faithful men and women who I know that have served the church for 50+ years that I would not put in this group. Moreover, there are some who have attended church for only a few years but they do fit in to this category. In fact, I think the majority of churchgoers have their chubby little hand in this cookie jar, and they need to seriously contemplate how they view the church (not only as “mine” or as God’s) but also why church even exists. This is the other side of the this-is-not-your-church coin. You are not the captain of the ship nor are you a passenger to be pampered. The church does not exist primarily for you, or me. The church exists to reflect the glory of God. All aspects of church life ought to be primarily about God’s glory. Period. There has never been a day in my church ministry where everything has gone the way I would have liked. I would have chosen different songs, on a different key with different instruments. I would design systems differently, make changes to the sanctuary, and nix a ton of (what seems to me) ineffective events. But I’ve had to learn that church is not about me. I am not all-knowing. My point-of-view is limited. And what I think is the best route to take is often, simply a deep-seated preference I am unwilling to let go of. I’ve learned the hard way that sometimes those antiquated systems were actually the very thing that gave God most glory. The broken systems that shouldn’t have worked showed off the power and provision of God. I am not God’s gift to the church. Neither are you. Worship style is not about you. The sermon format and length is not about you. Church curriculum is not about you. The sanctuary colors are not about you. Budgeting details are not about you. The landscaping is not about you. Now, I’m not trying to say that we shouldn’t care about these things nor am I saying that we should never speak up about them. We should. But only so far as we are called to. Because, church is not about you. If you are a church attender seeking a church home, you are in gathering mode, and should be. This is a time for observation and contemplation, but be careful to keep first things first. Pay more attention to the CONTENT than the DELIVERY. Because worship teams can practice and get better. Church leadership can grow and get more organized. Preachers can become more polished in their delivery. Children’s programs can grow. But if the Word of God is not being faithfully preached, and the kids’ program is primarily glorified babysitting, that is most likely not going to change until there is a new pastor, and maybe not even then. If this is a church that is used to their ears being filled with feel-good fluff, their next choice will probably be full of the same. I can’t even count how many times I’ve seen people choose a church primarily for their worship style and/or children’s ministry, while the pulpit lacked any sort of solid truth being delivered and the kids (though snacked-up and entertained as they are) are given a watered-down moralistic version of the Gospel. May I also encourage you to look for a church who needs what you can give. What has God gifted you to do? What are you passionate about? What experiences and expertise do you have that can help the church better shine for God’s glory? Don’t just look for a church home that you can settle into and get comfortable. God has given you specific gifts for the purpose of serving Him through loving on the local church (see 1 Corinthians 13). Don’t waste your time being a pew-dweller. Get to work. Bring it first to the Lord. Bring it second to the leadership of the church (so, not to all your friends, in a spirit of complaint). Bring a preparedness to be the answer to the problem. If there is a certain area that continues to bother you, week after week, and month after month, and that area is suffering because there is no one overseeing it, or the person who is serving there is overworked and out of ideas, consider the possibility that God is nudging you to step up and serve in order to fill that very need which is pressing on your heart. So what should you do when opinions clash? Remember that church is not about you. When you want blue carpet and everyone else wants red? Remember that church is not about you. When you love upbeat songs that are familiar to you but a solemn song you don’t know is played? Remember that church is not about you. When someone does or says something that wasn’t quite the “right” way (according to you)? Remember that church is not about you. And please, please, please (as I say often to my kiddos): be kind or be quiet. Because some of the most damaging things to the image of Christ, to the fame of His name, to the reflection of God’s glory to the lost and dying world around us? The words of His people to one another. The mean, selfish, foolish, prideful, angry words we sling at one another. If we say that we follow Christ, then we ought also to follow in His footsteps to be about His Father’s business. And the Father’s business is all about His glory being known among the nations (which includes the lost souls in your family, neighborhood, workplace, and grocery store). Why on earth would we expect those who are perishing without Christ to tag along with us to this building we call church, to spend time with people we don’t really like anyway, and listen to music we can’t stand, and a preacher we constantly complain about? We must pay attention to our motivations. There are more preferences and opinions than can ever be satisfied—even in the smallest of congregations. But if we can each learn to be driven primarily for the glory of God—not the glory of an individual or the glory of the church itself—we can finally begin to move forward TOGETHER in UNITY toward that goal. Because, once we have this point settled in our minds, we are able to view our preference and opinions through the lens of what gives God more glory. Blue carpet or wood floors? The organ or electric guitar? Jeans and flip-flops or a 3-pice suit? We will see them for what they are: surface-level stuff. Small potatoes. Instruments that God can use equally for His glory if He so choses.